I am very proud to be working with ChannelPro Network to offer a great webinar based on my Cloud 5-Pack Offering. Last year, I traveled the world teaching IT Service providers how to create a 7-Figure Managed Service business using the Cloud 5-Pack formula. 2. If you missed last year's Roadshow, PLEASE do yourself a favor and attend this webinar. I will lay out a program that could literally become your business model for the next five years. And best of all, this program will pay for itself with the FIRST client you sign up! You can sign up here: Register Here Today! 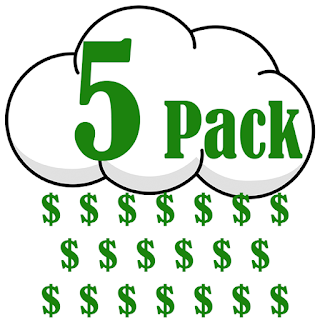 Cloud 5 Bundling: How to create a profitable bundle of cloud services that will give you a competitive advantage and deliver tremendous value to your customers. Cloud 5 Pricing: How to price your offer to achieve a 73% or more margin. Cloud 5 Delivery: How you can setup your business so that it can be supported by an administrative assistant, freeing you up to work on your business instead of in your business. Cloud5 Marketing: How to get your ideal prospects to sign up to meet with you and close them quickly. I've Been Replaced by a Robot! How Do You Know What Each Client Needs? Deep Work - Stay Focused!